COLUMBUS, OH, January 23, 2019 — Walmart is announcing today an investment in driver wages. This investment represents Walmart’s commitment to maintaining its position as one of the best jobs in the transportation industry and the importance of attracting top talent and offering valuable driver benefits. The Walmart trucking fleet is expected to grow, with the addition of 900 drivers in 2019. The wage increase will provide Walmart drivers an opportunity to earn an average of $87,500 in their first year of employment with an all-in rate of nearly 89 cents per mile. Beginning in February drivers will receive a per mile increase of $0.01 and a 50-cent increase in activity pay for arrive and arrive/drop occurrences. That means Walmart drivers will now be paid up to $1 every time they arrive at their destination and drop a trailer. Great benefits. Walmart drivers have access to company benefits on their first day of employment and can earn as much as 21 days of Paid Time Off (PTO) in their first year. Predictable home time. Walmart operates on a weekly schedule, so drivers know when they will be home or on the road. There is a bidding process two to three times a year to set driver schedules, so drivers know where they stand on work-life balance. Walmart is one of the safest fleets operating with contemporary well-maintained equipment. At Walmart, drivers drive and earn money rather than waiting for a truck to be fixed. Walmart offers quarterly safety bonuses, a safety incentive and recognition programs. The American Transportation Association has awarded Walmart the Safest Fleet in the Over 250 Million Mile Division for the past five consecutive years. 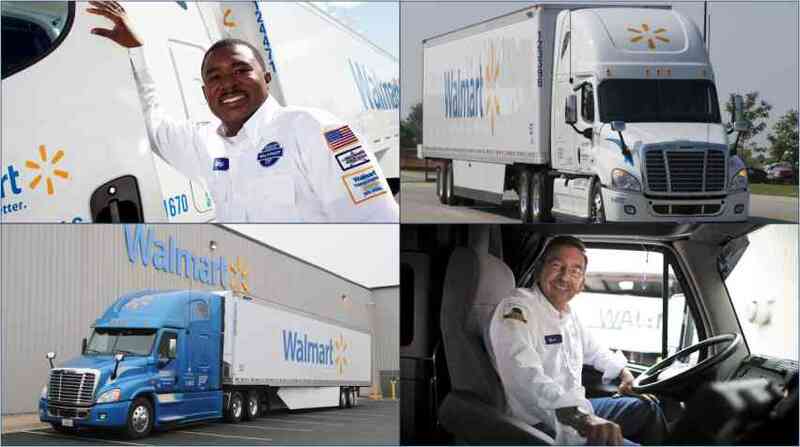 Walmart’s drivers are helping the company recruit the best drivers, and the company is seeing an increase in referrals. The company also dramatically revamped its hiring and onboarding program, shortening the application and onboarding time by more than 50 percent. To apply to drive for Walmart, visit drive4walmart.com. Walmart Inc. (NYSE: WMT) helps people around the world save money and live better – anytime and anywhere – in retail stores, online, and through their mobile devices. Each week, over 270 million customers and members visit our more than 11,700 stores under nearly 65 banners in 28 countries and eCommerce websites. In Ohio we serve customers at more than 170 retail units and online through Walmart Grocery Pickup, Walmart.com and Jet.com. We are proud to employ more than 51,000 associates in Ohio. Walmart supports local businesses, spending $16.3 billion with Ohio suppliers in FY18, which supported 133,682 supplier jobs. Learn more at the Walmart Today blog, and our Facebook, Twitter, Pinterest, Instagram channels.